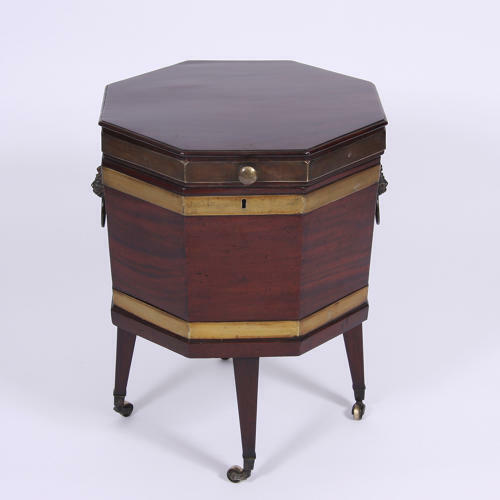 A fantastic George III wine cooler, octagonal shape in mahogany with brass banding and original brass castors. The wine cooler has a hinged lid which lifts to reveal the original zinc lining. Beautigul brass lion's head handles either side. A fantastic piece in great condition for its age.